One of the things I love most about attending outdoor retreats or trips with a bunch of people I don’t know is that I get to meet a ton of women doing awesome things in the world. A couple months ago I joined a group of women on a hut trip in Mt Rainier National Forest and had the pleasure of meeting Charlotte Massey, one of the co-founders of SheFly, a new line of pants designed specifically for the female anatomy. Charlotte is one of those young ambitious people that reminds me of how unmotivated I was when I was her age. She has goals and dreams and she’s got some brilliant ideas about the future. While attending Middlebury College in Vermont Charlotte connected with Georgia Grace Edwards and Bianca Gonzalez, who had already started brainstorming up a new pant design for the female anatomy. The idea for the pants came after Georgia spent time working as a guide on a glacier in Alaska and quickly became frustrated with the inconvenience of needing to pull down her pants and freeze her bum off while working in a cold environment. The three women had a clear goal: reclaim pant designs and adapt them for female needs. SheFly founders Bianca, Georgia Grace, & Charlotte. Photo provided by Charlotte. Historically speaking, pants were invented by men and have yet to be properly modified for a women’s anatomy. There are other options out there to make peeing in nature easier for women, such as a female urination device (FUD). An FUD is essentially a plastic funnel that you put down your pants so that you can pee while standing up. I personally have never been interested in trying an FUD for the same reasons the SheFly founders have, FUDs suggest there is something wrong with our anatomy, not to mention the possible messiness of a funnel full of urine. So the SheFly gals came of with a simple idea: a pant with a zipper that starts in the front and unzips all the way around to the back, allowing women to simply unzip, squat, and pull their underwear to the side to pee. The SheFly pant gained patent-pending status in July 2018 and has undergone more than 40 alterations to make it right for almost any outdoor adventure. SheFly is currently testing prototypes of two different products: long underwear (leggings) and hiking pants. The brand is also developing a double flap, boxer-style underwear that can be easily paired with their pants. After I got the company low-down from Charlotte I decided I needed to try out a pair of pants for myself. A few weeks after our hut trip a prototype of the pants arrived in the mail. I was deep into ski season and the trails were still covered in snow so I waited a few more weeks before taking the pants out for a test hike. With warm weather finally in the forecast my friend Nicole and I headed out to the Columbia River Gorge for a 7.5 mile hike. I packed extra water so that I’d drink more and could really test the full potential of the pants. 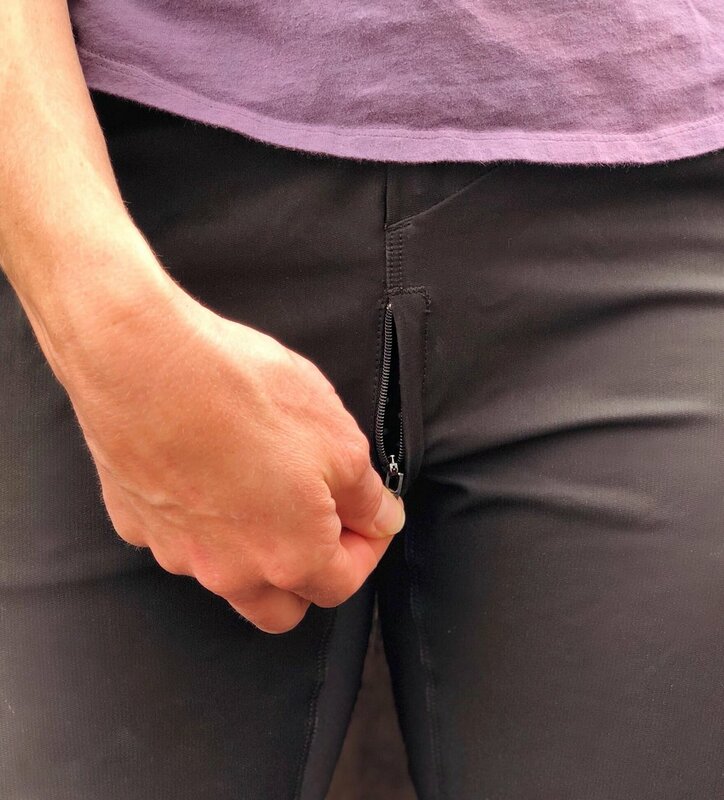 The prototype I received was a Patagonia pant with the SheFly zipper built into it so I cannot speak to the fit of the pant but I will say that the zipper worked flawlessly. The first time I had to pee I forgot about the zipper and went to pull my whole pants down before remembering that I didn’t have to expose my bum! But once I got in the habit the process was just as easy as I expected. The zipper never snagged and I couldn’t feel it while hiking. It’s small and discrete but strong enough that I never felt like it was going to break. The back flap of fabric covering it blends it into the seam effortlessly, making it look like a regular pair of pants. These are definitely pants I would wear again and buy for myself. Peeing in nature doesn’t bother me all that much but when the weather is crummy I’d really rather not take my bottoms all the way off. I see these pants really changing the way women relieve themselves in the outdoors and can especially see them being life-changing while climbing. Can you imagine being on a multi pitch with only hanging belays and all you have to do to pee is unzip - amazing! Since meeting Charlotte SheFly has launched their crowd-funding site and surpassed their goal of raising $15k! 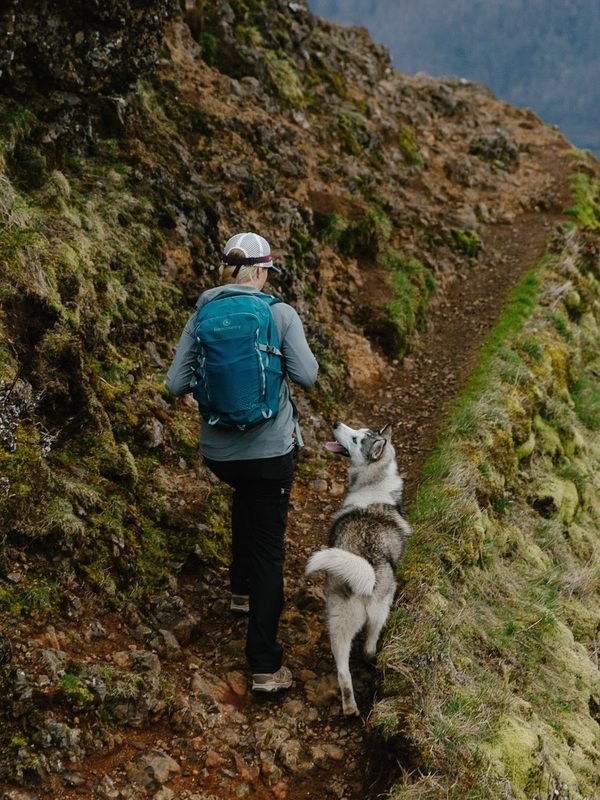 As a women’s owned business who’s mission is to promote inclusivity, accessibility, and female empowerment in the outdoors through innovative product design, SheFly is a company that I am happy to support and I encourage you to support as well. I look forward to hopefully seeing SheFly pants in stores in the future and wish Charlotte and her co-founders all the best with their endeavors.